On Wednesday, U.S. President Donald Trump announced the nation’s recognition of Jerusalem as Israel’s capital, revealing the relocation of the U.S. Embassy from Tel Aviv to Jerusalem. As expected, this shift in Washington’s policy prompted simultaneous counter demonstrations across majority the globe, with most of it focused specifically in the occupied Palestinian territories and other Muslim nations. 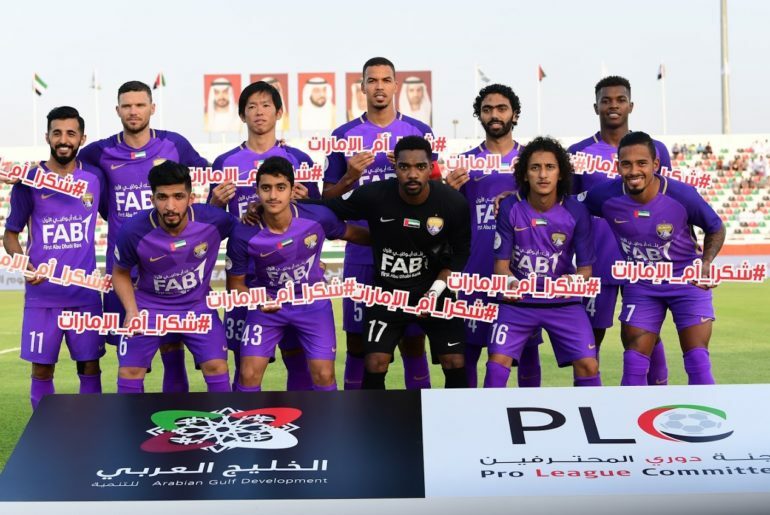 And football, as it always has, provided a platform for certain clubs, players and fans to make their intentions clear. 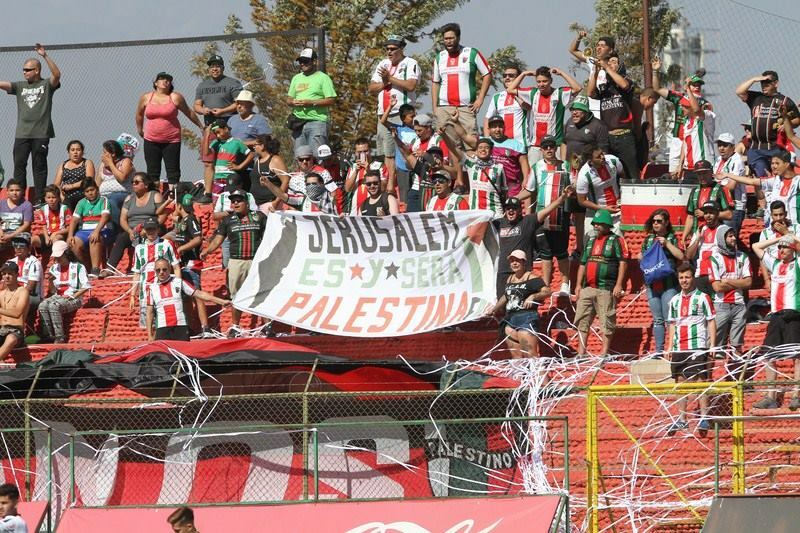 While majority of the solidarity was shown from those involved with the game across the Middle East, there were signs of support by fans from as far as Chile. 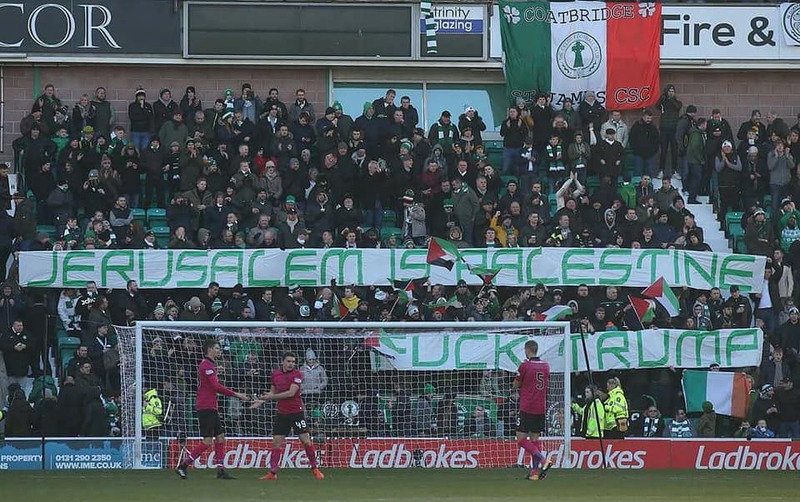 Celtic fans who are known for their vocal support of Palestine had a strong statement for the POTUS during their Scottish Premiership game against Hibernian. 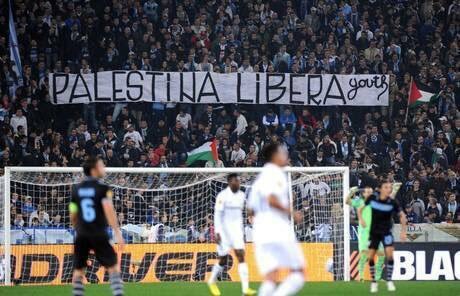 Last year, the club was fined by UEFA as a result of fans’ displaying a Palestinian flag during a match against an Israeli side. 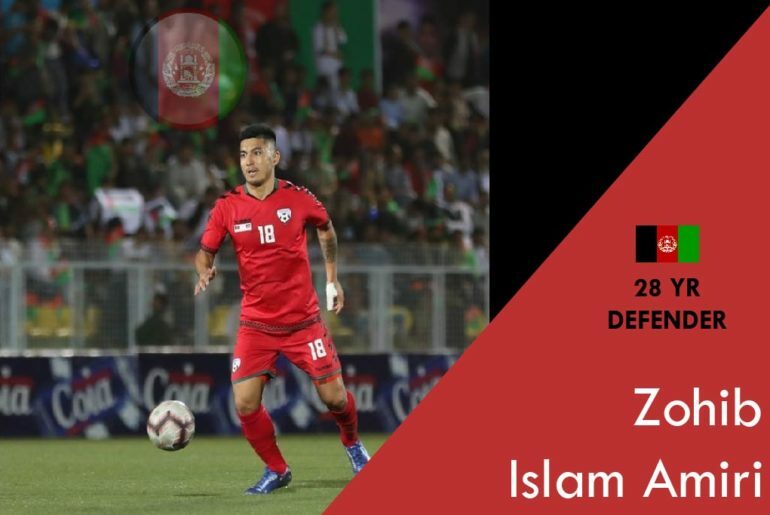 Turkey being a strong supporter of the besieged nation, had its governing body – Turkey Football Federation request all clubs across all divisions to show their support for Jerusalem on the weekend. 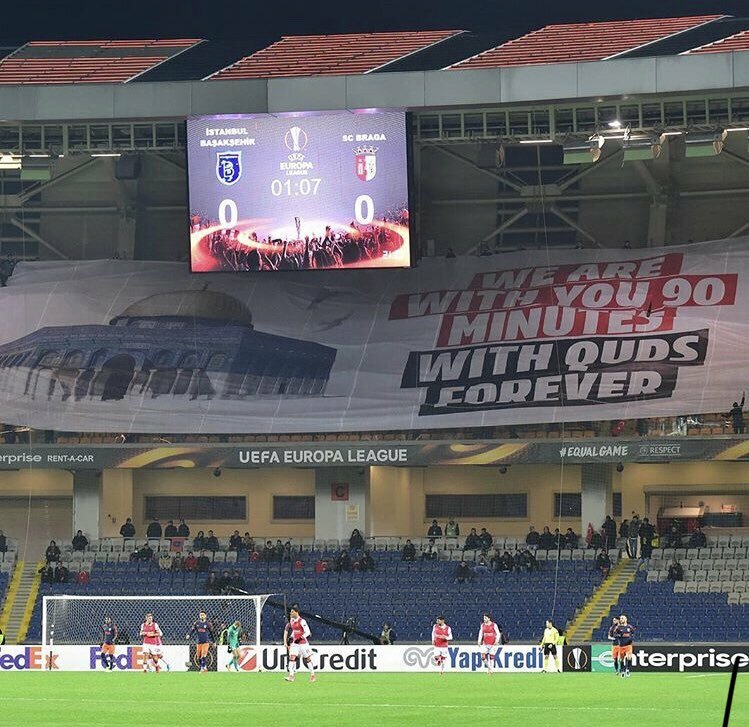 İstanbul Başakşehir unveiled this banner during their Europa league game against Braga. 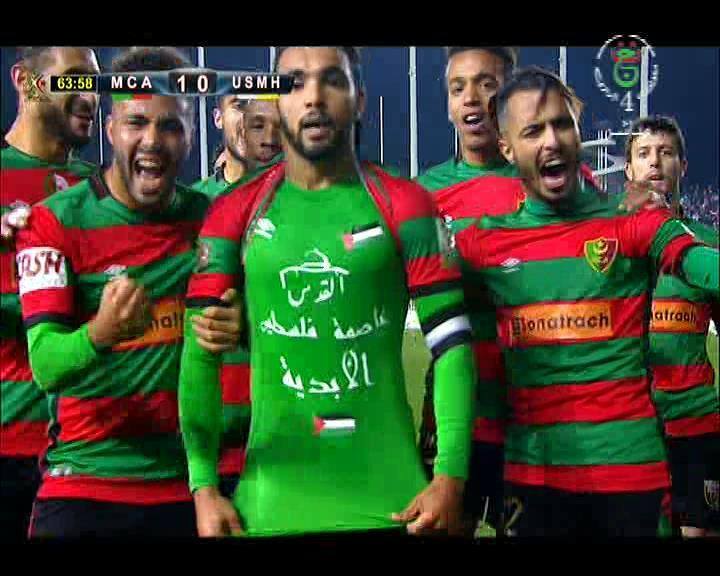 MC Alger’s Abderrahmane Hachoud during his celebration scoring a goal. 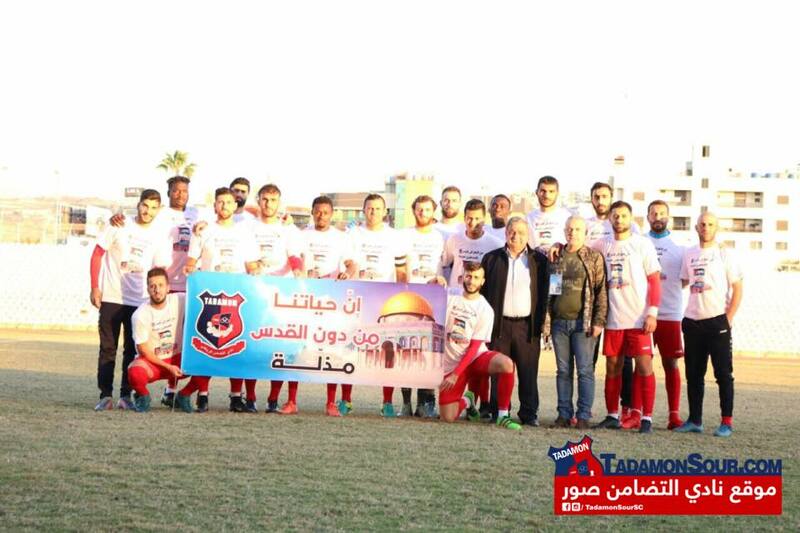 Tee reads “Jerusalem is the Capital of Palestine”. 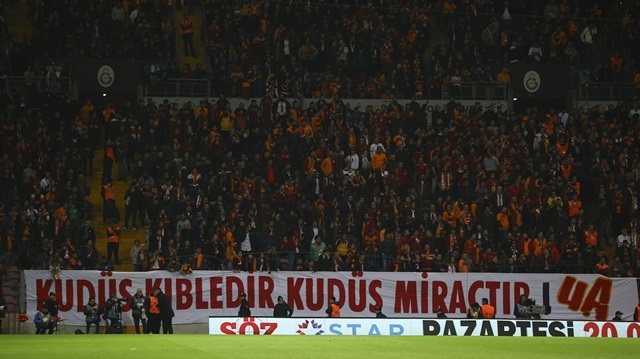 Galatasaray fans displaying the banner saying “If Jerusalem is not free, the world remains captive” and “Jerusalem is Qiblah, Jerusalem is Miraj,”. 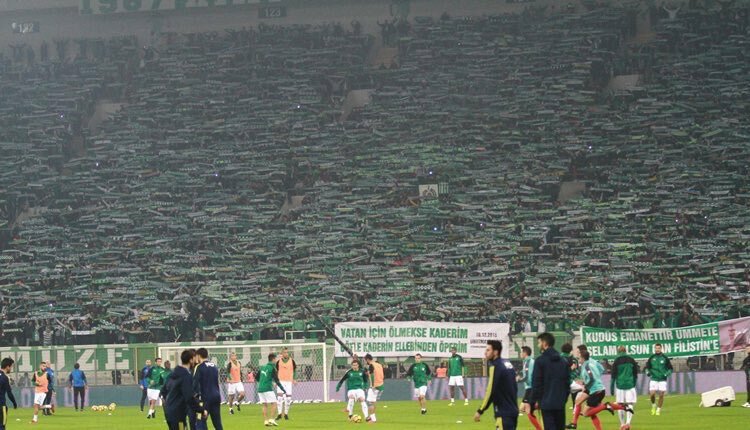 Bursaspor fans with a message during the league game against Fenerbache. Lazio fans during Europa League group stage match against Zulte Waregem. Celtic FC being visually vocal against Trump’s decision during match vs Hibernian. 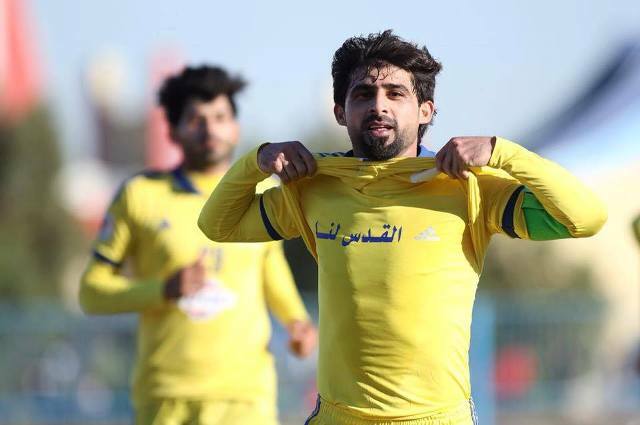 Al Quwa Al Jawwiya and Iraqi NT striker MC Alger’s Hammadi Ahmad after scoring in the IPL on Saturday. 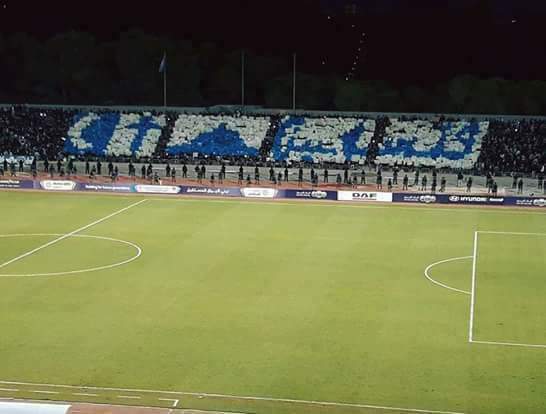 Faisaly fans with a TIFO in support of the Palestinians. 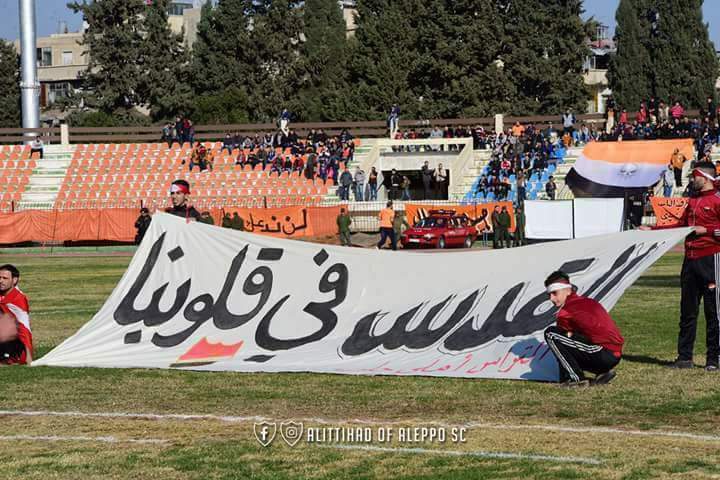 Pre game support prior to Syrian league game between Ittihad of Aleppo SC and Al Wehda. We pray for the day that East Jerusalem — currently occupied by Israel — will eventually serve as the capital of Palestine.